Draft day drama? Lenape’s Cade Hunter, South Jersey’s top high school baseball prospect, just so happens to be the son of one of the 30 people charged with running a Major League team’s draft room. It’s unknown if the stat-happy wiz kids in baseball’s new wave front offices have a metric for the rate scouts show up to high school baseball fields in April and May, but if the ball continues to jump off Cade Hunter’s bat with the exit velocity and launch angle it had on a recent afternoon in Washington Township, people will come. 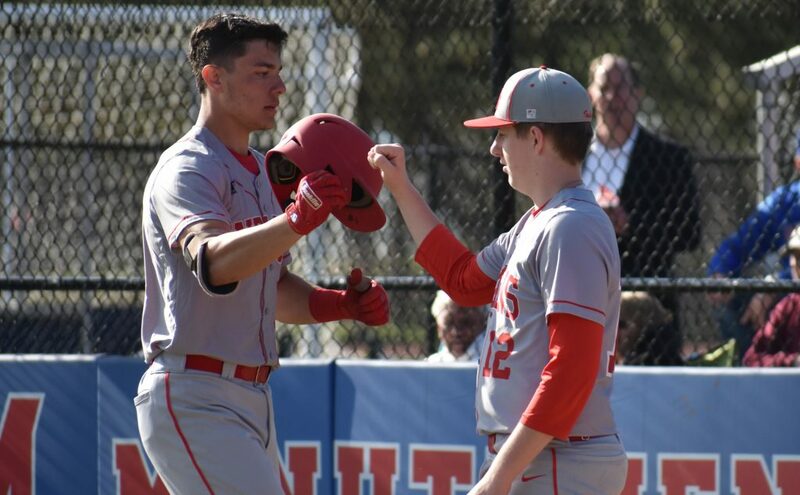 On this day, Hunter, a senior catcher at Lenape High School, connected on his third home run in four games. The season was only 10 days old and a few scouts have already put eyes on him. So has a major league front office’s amateur scouting director, one who, along with a scout from the Baltimore Orioles, was among the 20 to 30 people at Washington Township on this day. If this particular baseball official sounds like someone who has more info on Cade Hunter than anyone else who could fill out a scouting report, it’s because he does. Scott Hunter is in his third year running the Mariners major league draft. He’s also Cade Hunter’s dad. The younger Hunter is making a name for himself as South Jersey’s top prep position player prospect. He has a full scholarship to Virginia Tech in hand and could hear his name called as soon as the second day of MLB’s three-day draft (June 4, when rounds 3-10 take place). There are surely tougher quandaries for a high school senior than to decide whether they want to go to college on scholarship and play in a top baseball collegiate conference or to accept a professional signing bonus and contract with a big league organization to jump into minor league ball. 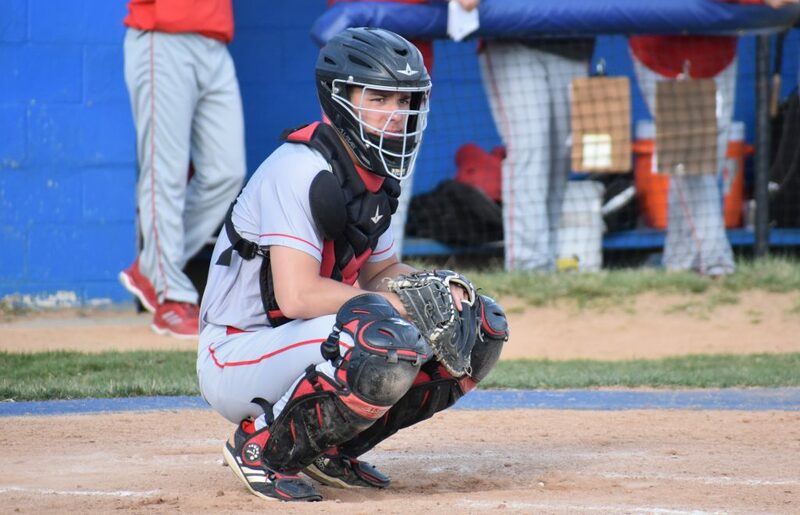 Cade Hunter, the oldest of Scott Hunter’s two sons, understands this, of course, because in addition to having soft hands and a commanding presence behind the plate to complement his quick bat, he has an even-keel personality. He’s managed to tune out a process that’s mostly out of his control until June. It’s difficult to argue with his process. 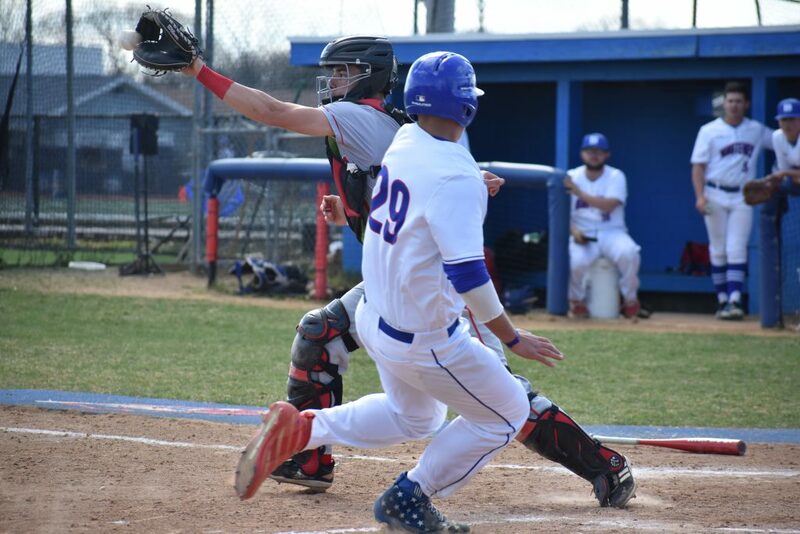 Hunter homered twice on the high school season’s Opening Day at Seneca and, with three total, is already more than halfway to surpassing last year’s total (five). 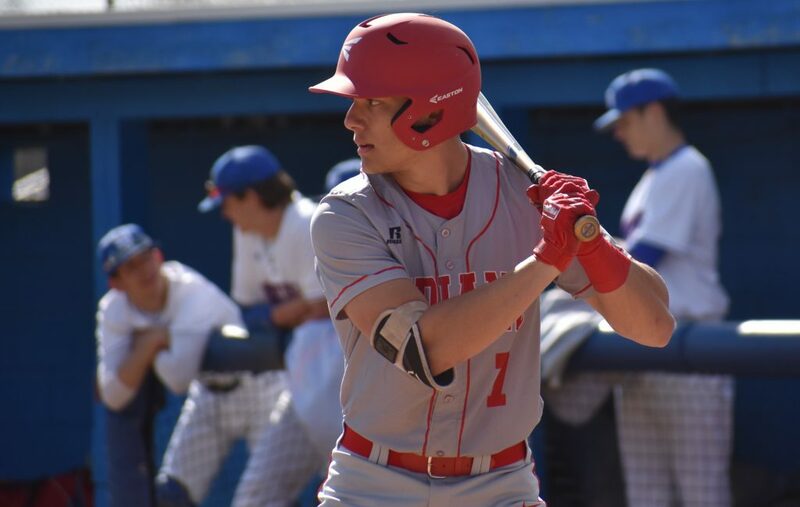 Last season, as a junior, 14 of Hunter’s 28 hits went for extra bases and he slashed .424/.513/.818 with 24 RBIs in 22 games. Hunter can control the offense with one swing of the bat and the running game on defense with his arm. What he cannot control is whether he’ll be headed for Blacksburg, Virginia, or an unknown minor league baseball team later this summer, but at least he has someone who went through it before. Twenty-six springs ago, Scott Hunter was a senior at Northeast High School in Philadelphia with a scholarship offer from the University of North Carolina when the Los Angeles Dodgers selected him with their fifth-round pick. Three days before he had to report to Chapel Hill, Hunter received an attractive offer from Los Angeles and chose Dodger blue over Carolina blue. The older Hunter never reached the big leagues, but also never regretted his decision as an 18-year-old. Despite being traded two years and two months after the ‘93 draft, he reached Triple-A as a 22-year-old and was added to a major league, 40-man roster, but never got the call during 10 years and more than 1,000 games in the minor leagues. He’s also been grateful for the opportunity his second professional baseball career has afforded him, like bringing his son along to check on the Mariners’ Rookie-level teams in the last few summers. It was during these trips that Cade Hunter would see the work of young professional ballplayers and he adapted to it quickly, waking up earlier each day and nudging his dad to take him to the park. But now, the work has been done. It’s crunch time, for both father and son. It’s the busiest time of the year for Scott Hunter, who stopped in South Jersey en route to a scouting trip to Florida to see Cade play. In a little more than six weeks, he’ll be at Safeco Field in Seattle running the draft room. Meanwhile, his son could realize a boyhood dream on the other side of the country. On June 4, Scott Hunter’s busiest day of the year could very well coincide with the biggest day of Cade Hunter’s lifetime. The elder Hunter laughed at the dilemma. It’s a good thing he has an area scout in his Mount Laurel home.